JSA is a full service geoscience consulting firm providing responsive, practical, and cost-effective solutions to geological issues. Our Professional Geologists are directly involved in each to best serve the needs of our clients and provide the level of technical expertise needed for successful completion of each project. By Jim Stidham and Associates, Inc. (JSA) based in Tallahassee, FLORIDA (USA). By Air Water Earth Limited (AWE) based in Kampala, UGANDA. Globex is committed to preserving and restoring Earth’s natural resources. Toward this end, Globex can provide contamination evaluation and remediation services for a variety of types of facilities, media, and contaminants. A partial list of services that Globex can provide is presented below. By Globex Engineering & Development, Inc. based in Coconut Creek, FLORIDA (USA). 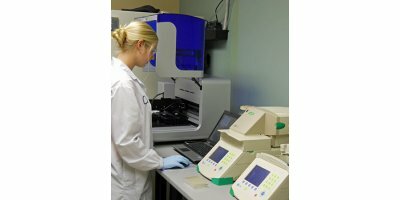 Gene-Trac testing is used to quantify key microorganisms and to determine microbial community composition for the assessment of bioremediation potential and to monitor enhanced bioremediation performance by quantifying and characterizing microorganisms in groundwater and soil/sediment from contaminated sites. By Hammer Environmental Services based in Wasilla, ALASKA (USA). A timely response can minimize the saltwater soil damage. SOS Environmental, Inc. provides a full service team to perform sodic (saltwater) site evaluations, field-testing, saltwater remediation recommendations, application of required amendments, as well as, site managing and monitoring through closure. By SOS Environmental, Inc. based in Conroe, TEXAS (USA). HDC has its own drilling team to conduct water and soil contamination sampling and assessment. Highly-qualified professional engineers will analyze the data and provide professional recommendations for closure of sites . By Hydrodynamics Consultants, Inc. (HDC) based in Lisle, ILLINOIS (USA). Soil testing and collecting soil samples is what we do everyday. We can advise on the best analysis for your soil be it arable, grass or equestrian land. It is recommended that soil nutrient levels are checked every 3 to 4 years, to make sure the soil performs to it’s maximum potential. By Keith Mount Liming based in Bury St Edmunds, UNITED KINGDOM.